Mrs. Green’s World and our partners have a shared vision of protecting our environment and preserving our resources, while helping others to do the same. Our partners are an exclusive group of businesses and organizations that understand the value the Mrs. Green team brings to our community and to the planet. The mission of Goodwill Industries has always been to provide a “hand up” to those looking to provide a better life for themselves and their families. They believe that jobs are transformational and can strengthen both the community and families through the POWER OF WORK. 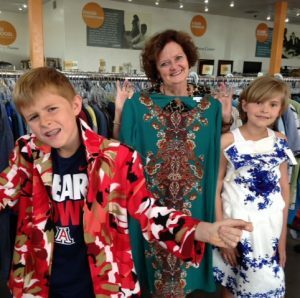 To fund Goodwill of Southern Arizona’s programs, they operate retail thrift stores all over Southwestern Arizona that not only pay for the good work they do but also helped to keep 28,351,835 lbs. of material OUT of the landfill last year alone. They create community as well as job opportunities all while helping us consume less! #WinWin We encourage you to #DoTheGoodThing and SUPPORT YOUR LOCAL GOODWILL! We at Mrs. Green’s World are truly grateful for all the great work our local Goodwills are doing for our planet and our community! Like them on Facebook and follow them on Twitter and Instagram to keep up with all the good stuff they’re up to in Southern Arizona!